Do you want to stay up to date on our latest news and clutches? We are so excited to announce our Xanthos x Snapjacks Jr clutch has hatched. 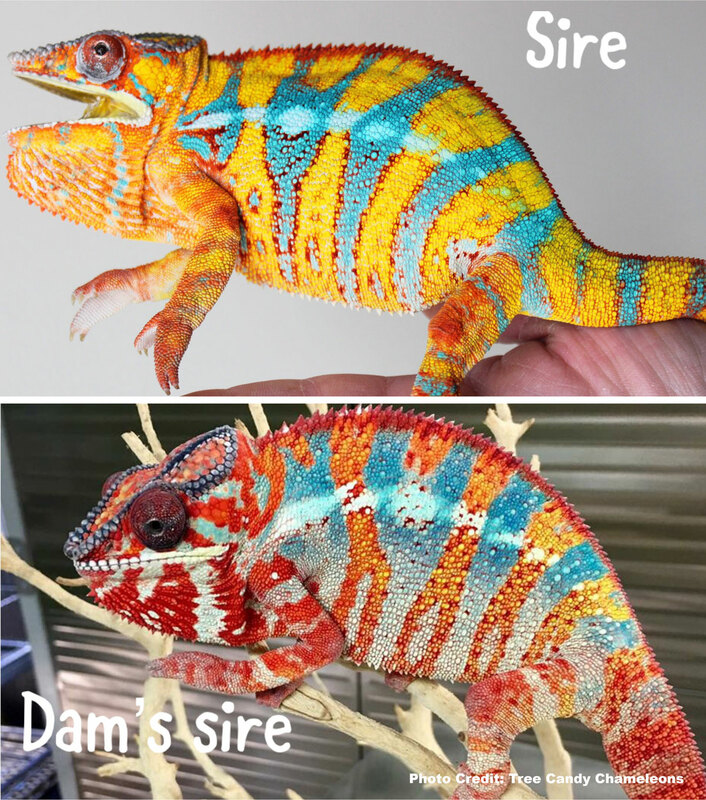 These babies are comibining two outstanding bloodlines of Ambilobe genetics. We are expecting tons of amazing color in this clutch. They will be ready to ship around late June. Xanthos x Snapjacks Jr males are $450 shipped. Xanthos x Snapjacks Jr females are $350 shipped. You can reserve a Xanthos x Snapjacks Jr baby by placing a deposit below. These babies are going to be stunning when they grow up! This will be an amazing combination of colors. We can’t wait to watch these guys grow up. Deposits are $85 and the remaining balance is due when they ship around late May. We are excited to announce we have Xanthos x Sienna babies availble to be reserved. These Ambilobe panther chameleon babies are going to be stunning when older. We can’t wait to see what colors we will get from these stunning bloodlines. Deposits are $85. The remaining balance is due before your chameleon ships around late April 2019. The J.J. x Red clutch has arrived! This adorable babies should produce some outstanding Ambilobe color. These guys could be red, yellow, blue, green, orange, and more. We are currently accepting deposits to reserve a baby. Deposits are $85.00. The remaining balance is due before your chameleon around late April, 2019. J.J. x Red males are $450.00 shipped. All reserve spots for males in this clutch have been taken. J.J. x Red females are $385.00 shipped. These Nosy Be panther chameleons will be some of the most beautiful powder blues in the panther chameleon world. Fernando and Twinkle Skins not only have some of the best blue Nosy Be bloodlines, they both also are very sweet and enjoy hand feeding and coming out to explore. 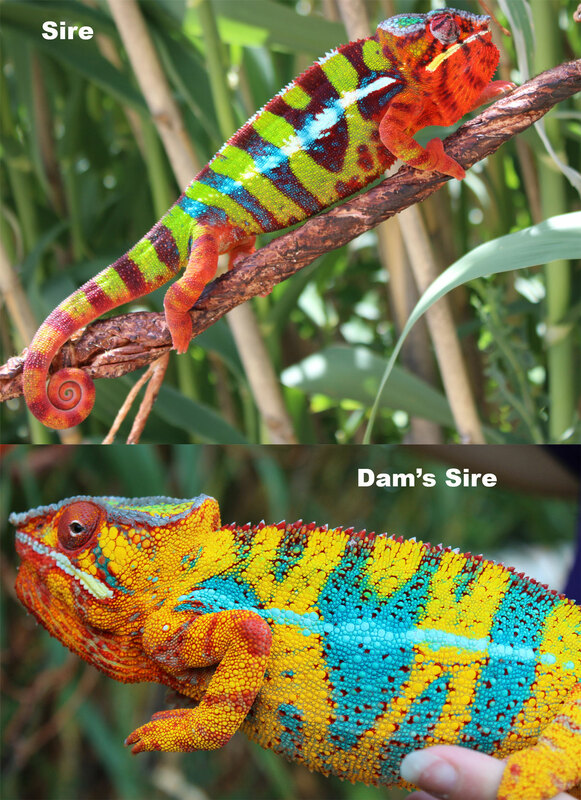 This personality trait, along with the beautiful colors will make this pairing one of the greatest for a pet chameleon home. While we can never guarantee your chameleon’s personality, having both parents be so friendly is a great sign that their clutch will also be friendly as well. Nosy Be panther chameleons are some of the most beautiful of all the locales of panther chameleons. Their light blue coloration is just stunning to see in person. They can range from a greenish turquoise to a beautiful solid blue. We are very excited to be able to offer these outstanding bloodlines to our customers. 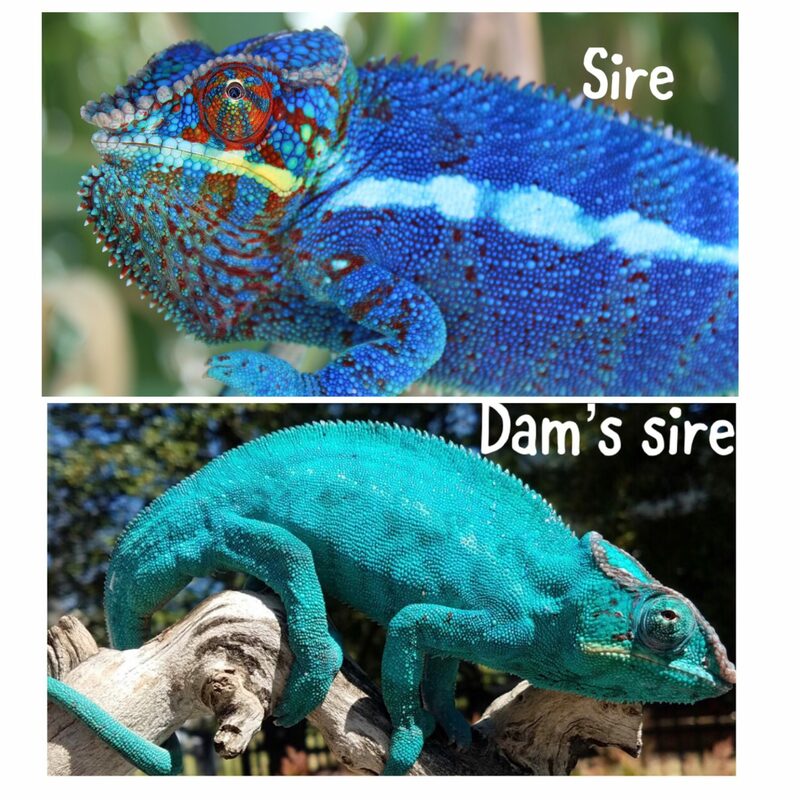 If you are looking for a true blue Nosy Be panther chameleon for sale we have them with this pairing. Even at a young age Fernando was showing outstanding blue colors and he only got better as time went on. Neptune is having his very first cross locale clutch here at Chromatic Chameleons! We are very excited about this clutch and to see just what comes from this breeding. Neptune has been paired with an amazing Nosy Be girl and we have a few spots available to be reserved. These Ambanja Cross panther chameleons for sale will be some amazing blues and who knows what else when they grow up. 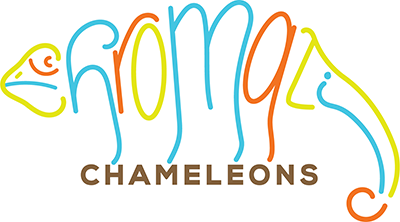 Deposits to reserve your chameleon are $85. The remaining balance is due before your chameleon ships in 3-4 months. Deposit: $85.00 All Reserve Spots have been taken. Neptune males are $450 shipped. These are our future panther chameleons for sale. They will be available three months after they hatch. 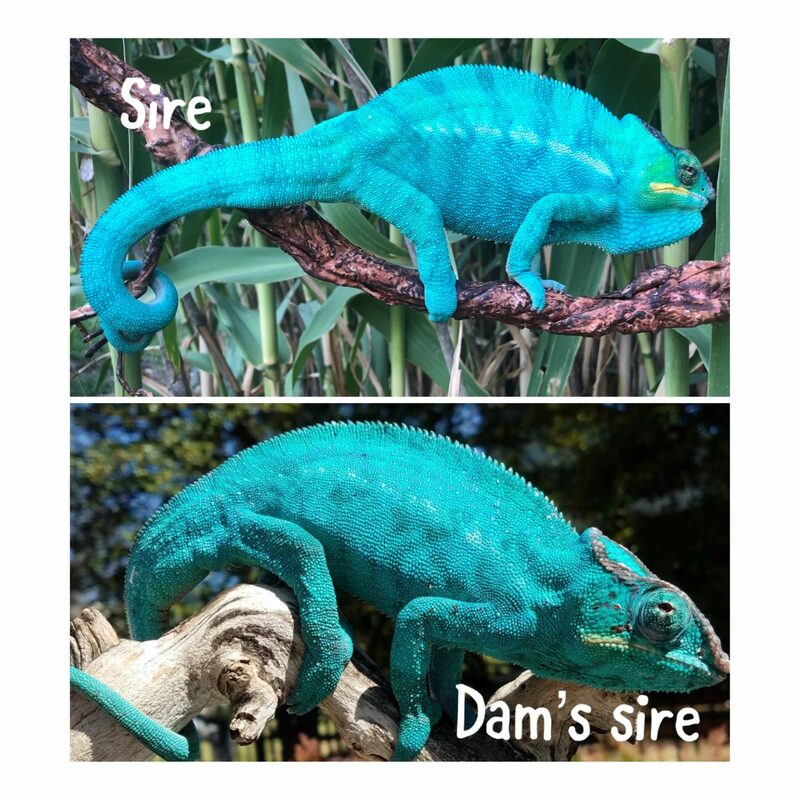 If you are looking for a panther chameleon available for sale now please visit our available page. 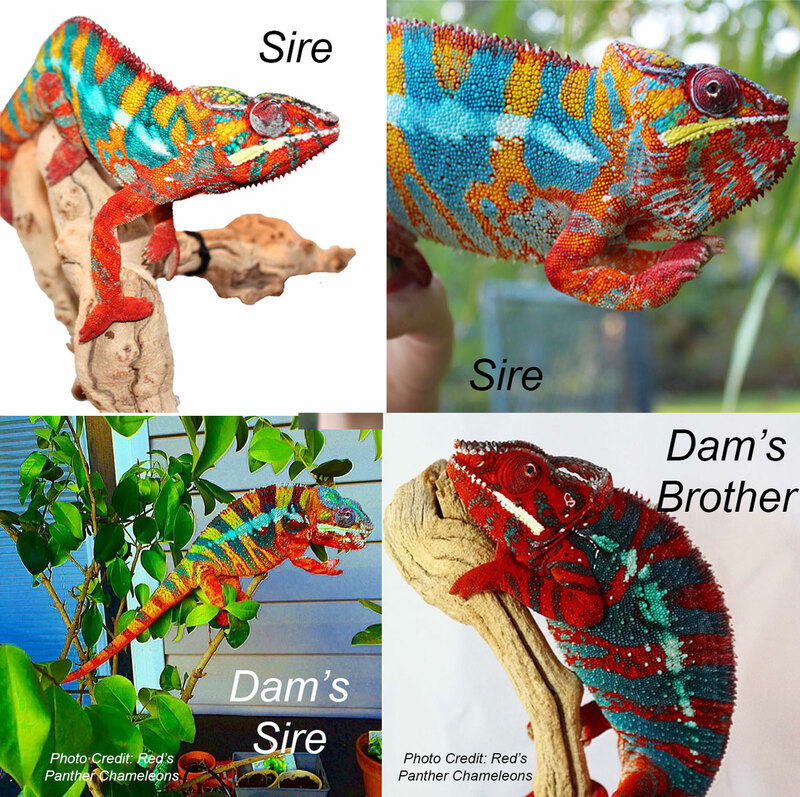 Our available page shows all of the panther chameleons for sale right now. That list is updated twice a day.